You are Gluten Free. You want what you want. You want as many as you want. You are willing to pay a fair price. *You want what you want, which should drive manufacturers to creating plenty of variety, ease of use, great taste and great quality - that you expect. *You want as many as you want, which should drive stores to have on shelves as many as are currently demanded. If you saw it on the shelf the last time you visited, but not this time, tell the store manager to (please) order more and put more on the shelves. *You are willing to pay a fair price, which should drive the manufacturers which charge an unfair price to either start to charge a fair price, or stop marketing their product. Older manufacturers may need to adapt to more effecient methods of production to be competitive. The Gluten Free customer is unique right now. 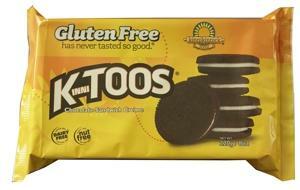 The Gluten Free customer is creating a very quickly increasing demand for gluten free products. The Gluten Free customer base is going to make up a rumored 10% of the entire population in the USA. Even further, some Gluten Free customers are not Gluten Free by personal choice, they are chronically Gluten Free. Finally, some advice: Try newly available gluten free products and Use your power as a consumer with wisdom and strength.